Pests have intelligence. They can register clues that indicate seasonal change. So when temperatures begin to drop and days become shorter they will start searching for winter quarters. They are especially interested in finding refuge in your home because it will keep them dry and snug. Summer is fading into fall. You may have already taken steps to prepare your home for the cold winter months. As you winterize your home don’t forget to add a few tasks that will help you pest-proof your home. Conduct a close inspection of your home’s exterior. This is essential to find and remove pest habitats. Insects are basically interested in areas that offer food, shelter and moisture. They want to hide from predators, reproduce and rest. Look for bug-size bridges that will allow insects to enter your home’s structure. You should also scout for areas where pests can hide. Here are a few things you can do to minimize pest invasions. Clean out all gutters and downspouts. Debris accumulated in them will provide habitat for pests. Make sure that your downspouts direct water away from your home. If you find debris (compost piles, rock, bricks or old boards) near the house, you have to eliminate it. Firewood must be stored outdoors away from your house. Pull mulch back. You will not want it to rest against your house. Trash is an excellent food source and as such it attracts pest. Store all trash cans away from the home. You must also ensure that the cans are tightly closed all the time. Don’t let plantings touch the foundation of your home. You should also prune tree branches that overhang roof lines or gutters. Shrubs that rub against your walls, deck or porch have to be trimmed. Autumn is that time of the year when trees shed their leaves. Remove all leaves that gather against the porch, the house or other outside structures. Traditional bulbs will attract insects. Replace them with sodium vapor or yellow lights. Seal all openings that you find in the exterior of your home. This will not only keep pests out but also help control the temperature inside your home. Make sure that your screens don’t have holes or other openings in them. Ideally, you should replace them with storm windows. Inspect your basement window. If concrete is broken, you will have to replace it. Also inspect the foundation of your home. Seal all cracks with concrete or caulk. Look at eaves. Can you find any damp or rotting wood? If so replace them because they invite pests. Check vents in the attic to ensure that all seals are tight. You should also consider creating a chemical barrier around your property. 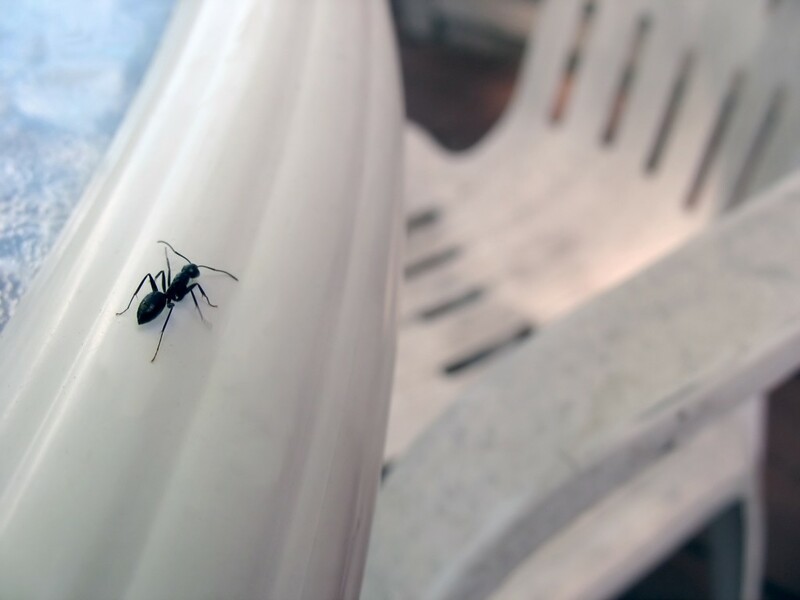 By taking some simple preventive tactics you can keep insects out. These solutions are low cost and offer solid protection from pests. You should make inspection of the exterior of your property an essential part of your annual maintenance chore. This will not only keep pests away but also help to ensure structural upkeep. This entry was posted in Blog on 2014/09/15 by Any Pest.